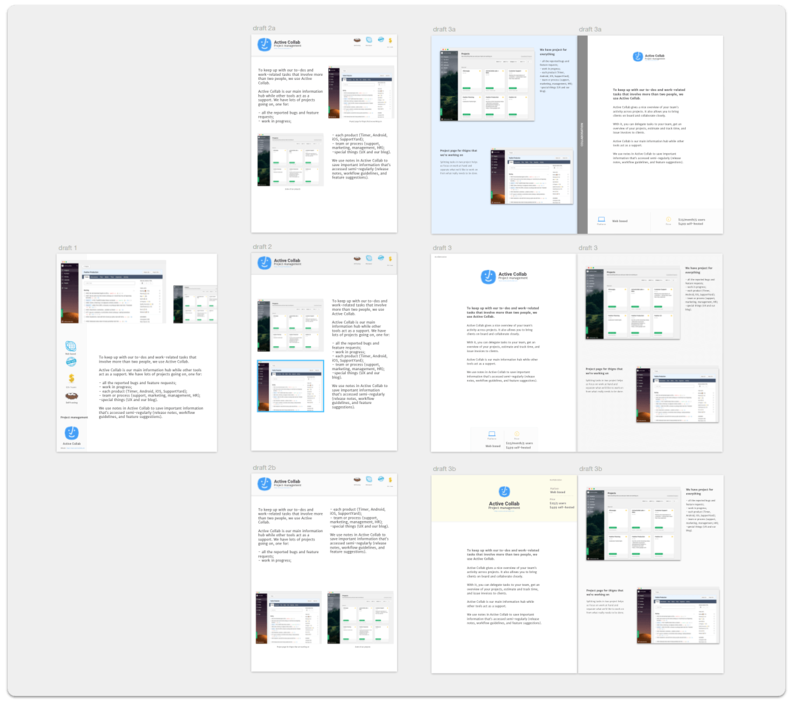 We wrote a massive ebook about all the tools we use in our company: we covered a lot of processes in detail and illustrated everything with screenshots. First how we found the topic, then how we designed and wrote the ebook, and what've done to promote it since. 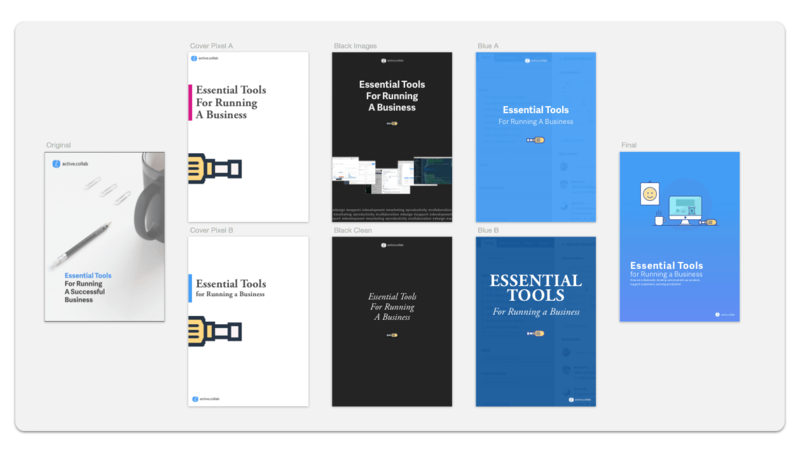 Creating an ebook takes time (about a month in our case) so you want to get the topic right to make sure you're getting the maximum ROI for your time. You can't just choose a topic you like, make an outline, outsource a few writers, throw it all in Word, and hope someone reads it. First, you have to find a worthy topic. You can do this by watching what people like to read on your blog, what posts are the most popular, and if you can expand on them while keeping the high quality. 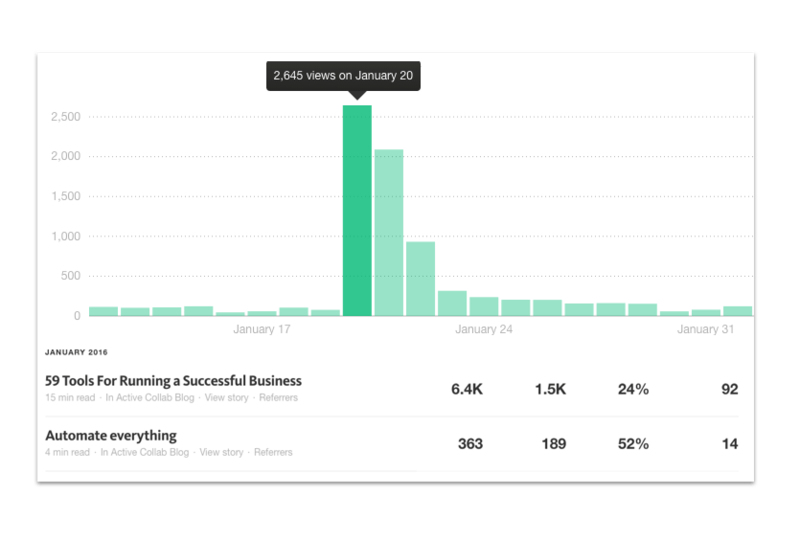 We started by checking our Medium stats and Google Analytics to determine what our most popular posts were. There was one very popular post we published a year ago, where we listed some of the tools we use. It wasn't long, there were around 30 tools and a sentence or two for each one. 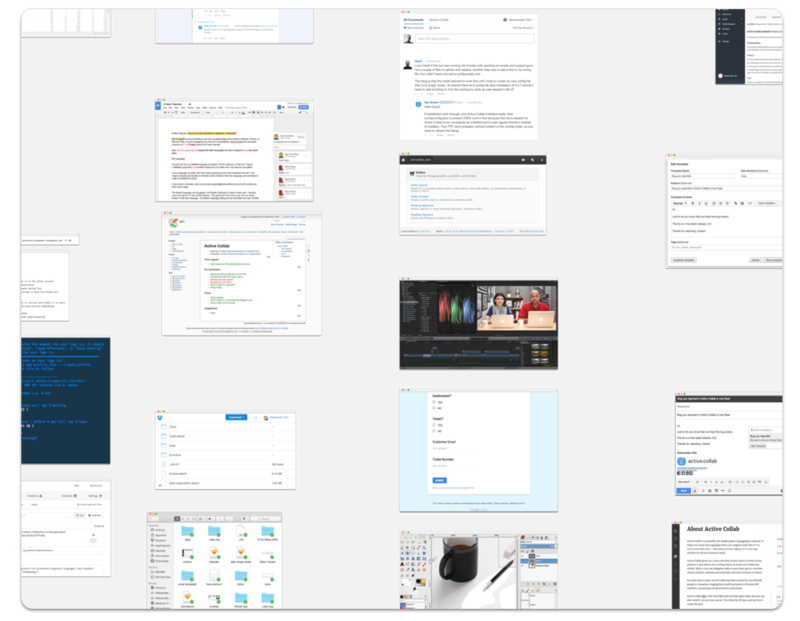 A few months ago, we expanded the post: we listed all the tools we use (59 this time) and wrote a whole paragraph for each tool, detailing how we use it in practice. It was much longer, but also more popular. Before we published it, we thought it would make a good ebook: we could expand it with more tips and tricks, and add screenshots to show real-life examples. But before making an ebook from the post, we decided to measure interest by offering signup for a future ebook. We created a cover image and asked for an email if the reader was interested to know more. If enough people signed up, we could know there was an interest and safely go ahead with writing. Thankfully, we ended with a hundred sign-ups. Once we knew there was a demand, we could go on with creating the ebook. Before we could start creating the ebook, we needed a design. So we first designed it in broad strokes in Sketch. Once settled on a general direction and layout, we could continue refining the design in Scribus. The ebook had three elements: tool description, basic info, and screenshots. We just need to find the right layout and a way to present them. We tried 7 different variations on 3 layout ideas before finding the perfect one. In the first draft, we’ve put everything on one page. But it was too crowded, there wasn’t enough room for more text, and you couldn't see the screenshots well. In the second draft, we tried a few different layouts, thinking “If we rearrange the elements in the right way, harmony will emerge”. It didn't. Images clashed with text, each trying to hog our attention, and the page ended up too busy and unpleasant to read. So we decided to give screenshots their own page - after all, they provided as much value as the text, if not more. We experimented with a few different ways to combine and present basic information, and mulled over about what we like the most on each variation. In the end, we combined the best elements from each one. We designed the ebook to be read like a real book, with the left and right page side-by-side. 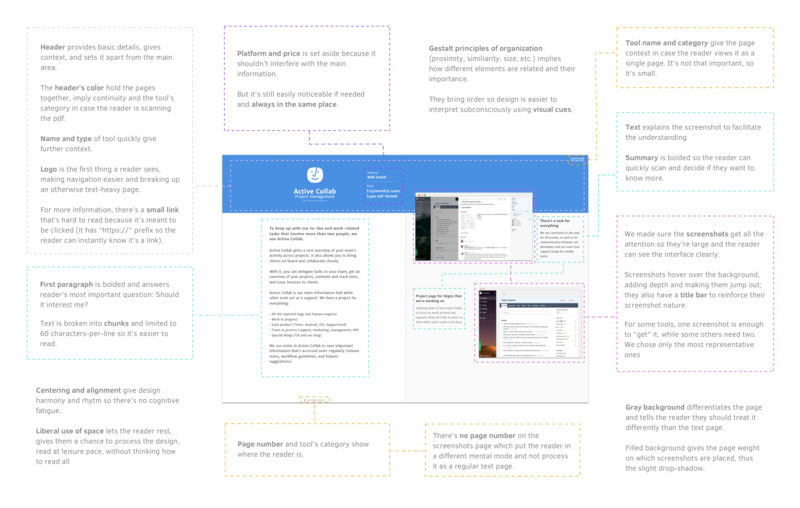 Our main inspiration for the new layout was the Universal Principles of Design and was also influenced by Google’s Material Design. Now we had to create screenshots for each tool. We thought about what's special about each tool and what the most representative screenshot would be. a drop-shadow, to add depth and define its relation to other elements. 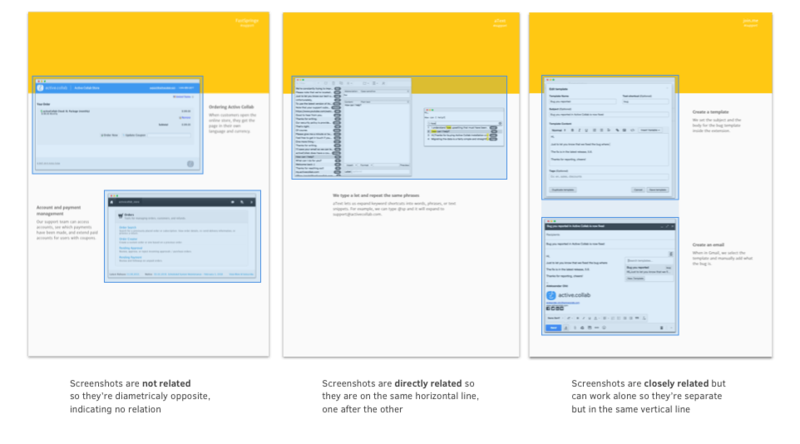 Next, we defined custom styles for each type of text. This way, if we changed our mind, we could tweak the font size in one place (the style), and each piece of text with that style would be updated automatically. The only thing left to do was to write the ebook. This took the longest. We had the original article with 3,500 words but we needed three times as much: at least one paragraph more for each tool, plus explanations for the screenshots. We opened Sublime Text, listed every tool in one large work file, hit Shift+Cmd+Alt+F for Distraction Free mode, and began. and then provided further details: how we use each tool, why, and what’s our workflow. This way, the reader doesn’t have to hunt for information, or even read the whole ebook - they can scan it quickly, see what interests them, and only read that. The book is specifically designed for modern, fast-paced readers, accustomed to scanning and information hunting. But, if you decided to read the whole ebook, you’d still be rewarded. 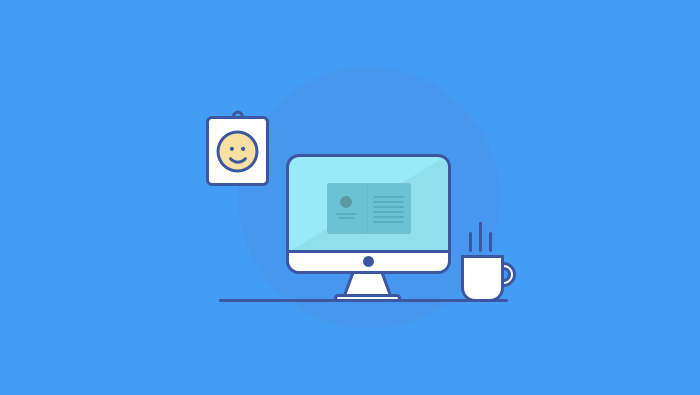 You’d learn a lot from our experience - how to collaborate, develop software, support customers, design websites and new features, market a product, and stay productive. While writing, we didn't pay attention to grammar and spelling. We just kept writing until we finished everything. After that, we reviewed everything in Google Docs. The editing took longer than the writing itself: some sentences were removed, some were added, and some had rewritten entirely. 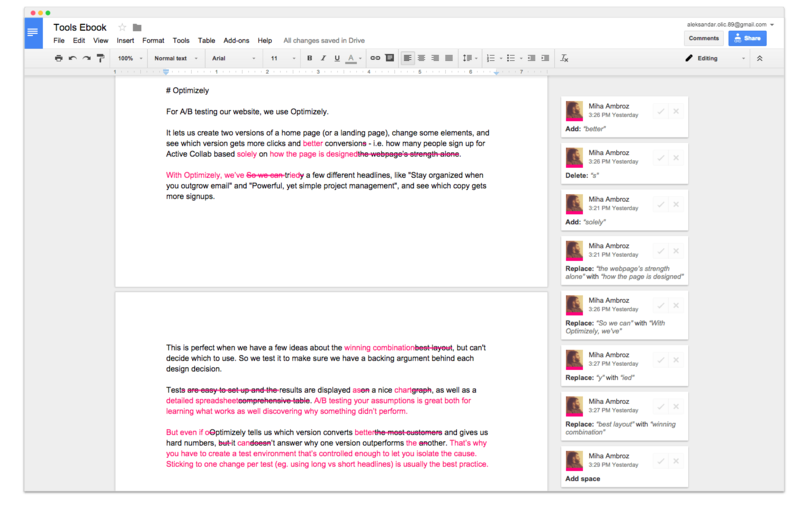 Half of the Google doc was red from all the stylistic changes. We had our ebook but it needed polish. Basically, it was ready for PDF export but there were many minor fixes/improvements to make - the kind you waste a whole day on, have nothing to show for, but which ultimately make the final product 10 times better. No one will pick them up consciously, but if you don’t fix them, they’ll leave an impression of a sub-par product. It's like with a luxurious product - insisting on a slightly darker shade of white or a 1 cm thinner device may seem like hair-splitting, but tiny things like this make a huge difference in how users perceive your product and how well it sells. We also decided to change the book’s cover. For the original cover, we used an image from the blog post (which we took from Unsplash) and made it more ebook-like. After we created the ebook, we were no longer happy with the cover - it was plain, cheap, and a bit tacky. So we scoured the internet for inspiration (Dribbble, Amazon), created a few alternative designs, added a subheading, and chose the cover that aligned the most with our existing style. We had the PDF version of the ebook finished, but we also needed it in EPUB and MOBI formats, for the online ebook stores. Basically, it converts `tools.md` file from markdown to epub as `EssentialTools.epub` file, using `cover.png` as the cover image and `style.css` for custom formatting, fixing straight quotes, and generating the table of contents along the way. If you're interested how it all looks like, check out the source files on GitHub. For publishing the ebook to the stores, check out this excellent article from the Zapier team. 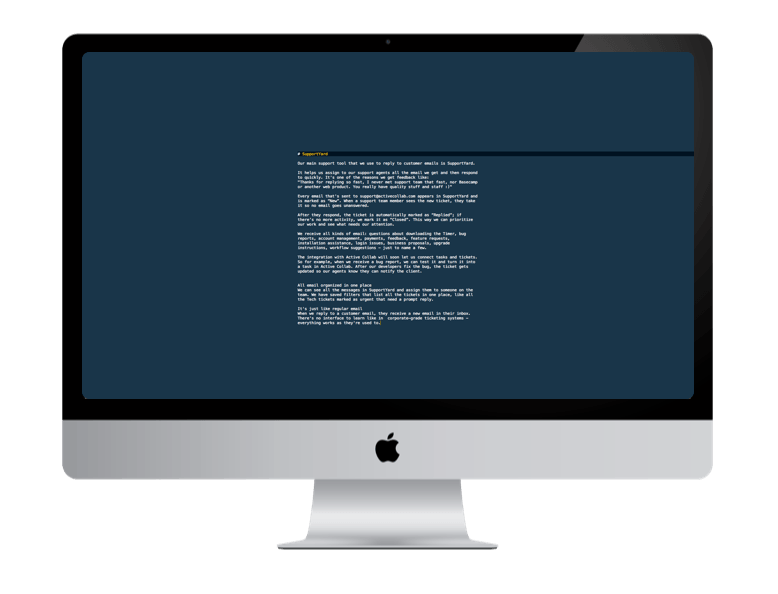 What's inside - to outline the ebook’s value and let visitors have a sneak-peak. How this ebook can help you - to address visitors’ needs, what they’ll learn, and the benefits they'll receive. 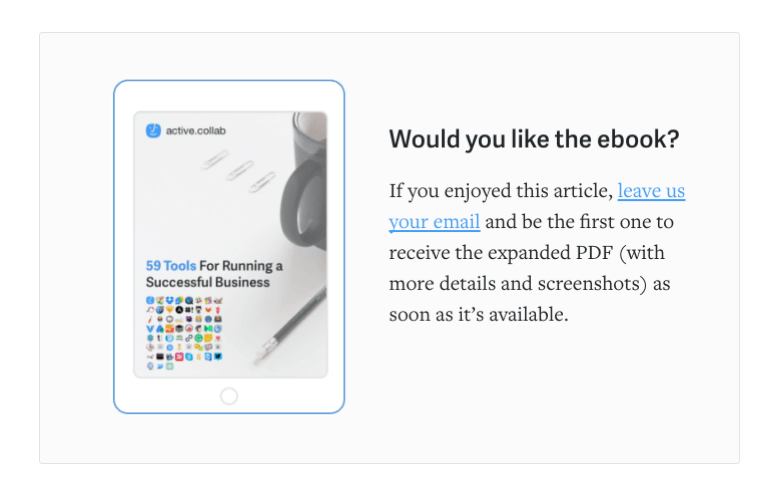 Next, we wrote this post, detailing how we made the ebook. We could've just put together a quick post announcing the ebook. But this way we can announce the ebook, reveal how we made it, and share something useful. We then sent the ebook to the people who subscribed to be the first ones to receive it, as well as to the people who downloaded our first Kanban ebook, in case they might be interested. If you know have any ideas or suggestions, leave a comment or send us an email at editor@activecollab.com.